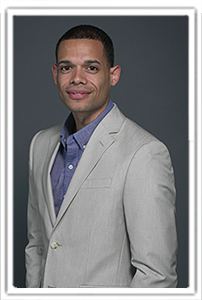 Mr. Rufus Lott III is the founder of LOTT Educational Consultants and lead consultant specializing in the area of Restorative Practices in schools. Most recently Mr. Lott served the North East Independent School District in San Antonio, TX as the Assistant Principal of Edward H. White Middle School. Mr. Lott played an instrumental role in the development and implementation of restorative practices as an alternative method for managing student behavior. This innovative, whole school approach was the first of its kind in the state of Texas, and has been considered the blueprint that many campuses across the state of Texas are following. Mr. Lott has 10 years of experience in public education in elementary and middle school as a classroom practitioner and administrator. As a former administrator, Mr. Lott’s passion is rooted in social justice and working with educators to better serve diverse student populations. His focus is on teaching real-life, applicable strategies that are essential for educators to utilize when working with both students and teachers. Today, he teaches restorative practices to teachers and administrators as an alternative method to exclusion, and as a means to build positive relationships and strong communities through dialogue using the circle process. Mr. Lott received both his Bachelor’s and Master’s Degrees from the University of Texas at San Antonio. He graduated as a member of the Urban School Leadership Cohort (USLC), which is a nationally recognized cohort that prepares educational leaders for the principalship by using practical, theoretical, and research-based approaches to promote social justice in urban school districts. He is the author of Restorative Practices: An Outside-the-Box Approach to Building and Sustaining Relationships. .
Mr. Lott recently hosted a webinar on Restorative Practices which can be viewed in its entirety.